It took me about an hour average for each. I drew them at seperate times... I don't know if they're good! I have other riding friends but they don't draw. They say they're good.. but I need more opinions. I can barely draw a stick figure! This is soooo good! That is so amazing! 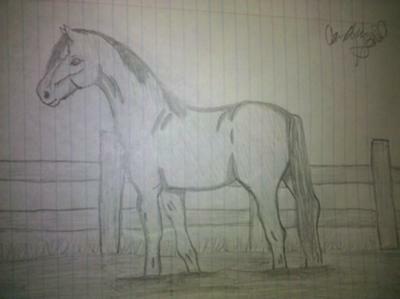 I really try hard to draw horses, I am okay at it but this is just brilliant. Just some feedback is to maybe make the head a tiny bit larger on #3. That is so cool! I like it. Your horse drawings are amazing. I love all the detailed lines. the 1st pic made me bawl, and the 2nd. they remind me of the first pony i ever loved, a highland name hero. i was going to buy him, but the owners moved away suddenly b/c of problems in the family. i don't even know if he's alive or dead, in pain, happy or scared. but u made me remember him in a beautiful and mesmerizing way. i think of him now as a beautiful creature that will be loved wherever he goes! I can't believe you can draw that well I am mesmerized!!!!!!!!!!!!!!!!!!!!!!!!!!!!!!!!!!!!!!! so so so so so so super fab!!!! You are AWESOME! i love every single one of your AWESOME drawings and you have an AWESOME and AWESOME gift. Wow, that's awesome! 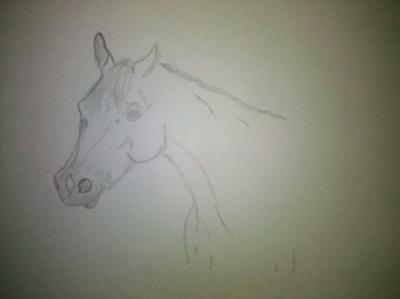 I've been trying at drawing horses and my family says that I'm very good so see what you think of some of mine! These look great! Detailed and perfectly shaded. Keep up the awesome work! hi everybody, i'm jenefer lopez. i like the painting!!! WOW THAT IS AMAZING!!!! How do you do that? Love these drawings. are these your own? cool! you draw better than my sister Emma. she has 3 horses. my favorite is teddy, he is a cute pony!!! it is very good can u teach me how to draw?!?!?!?!?!?!?!?!? If you want my opinion, I think they are all fantastic! The second and fourth ones are my favorite. 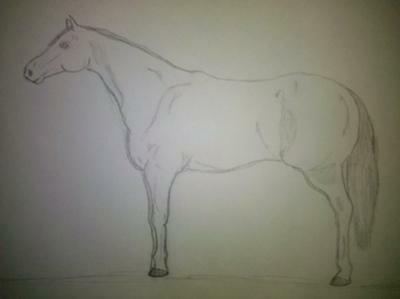 If you want a tip, on #3 you should make all 4 legs visible so it doesn't looks so flat and more realistic. Other than that, I love them! well ya, better then isabella hanning! i thought she was the best. do u live on a farm? I like it i wish i could draw like that they look really good. WELL DONE. i love your drawing, it's the best drawing i ever seen!!!!!! wow your really good everyday. 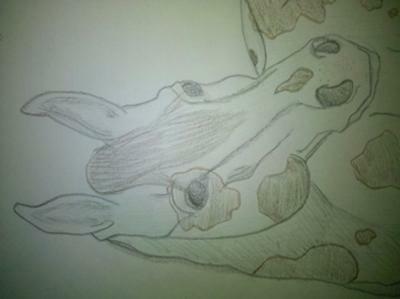 i wish i could draw like you, your amazing! I like #2 and #3 they are awesome!!!!!! I can tell you have been practicing. I am almost as good as you!!! Keep on practicing. I bet you will be a artist when your older and I am a big fan!!!!!!!!!!!!!!!!!!!!!!!!!!!!!!!!!!! that's so awesome, i could never draw that. omg that is so kool! omg this is soo good i love it. who ever you are i bet when your older your gonna be an artists. haha true! Who ever did this is good, I mean good! it's amazing i love it! i luv them all especially no.1&4!!! You're very good! I happen to be working on a drawing right now, actually :). Just one suggestion, picture 3 should have all four legs visible. Have the back hind leg (the one furthest from the one that's visible) ahead of the other leg in comparison. Same with the front leg, his knee and below should be showing behind the other leg. But otherwise great job! Legs are a little bit short on #3 but otherwise great job! You are good, don't let people tell you otherwise. I love all your pics! I cant even draw a heart! you are so good at drawing. love it! Those are amazing! You can draw reallyyyyyy good! I LOVE YOUR SECOND AND FOURTH ONE!!!!!!!! YOUR OTHER TWO ARE REALLY REALLY REALLY GOOD TOO! Better than me and that's saying something!!! these pics are very good i think that you might have a future in art if you stay with it.